When Calla Maloney steps on the boat to Kangaroo Island, she’s filled with dread. Part of it is simple seasickness but the other part is pure trepidation. She’s not on a holiday but a mission: to track down her estranged brother, who she hasn’t seen since her family splintered two years before. Firefighter Sam Hunter left the island twenty years ago and has made a habit out of staying as far away as he can get. But when his father’s illness forces him home, he finds himself playing bad cop to his dad and reluctant tour guide to a redhead with no sense of direction. 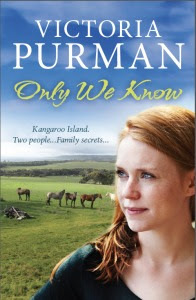 Only We Know by Victoria Purman is set on the south coast of Australia, mainly on Kangaroo Island and a little in Adelaide. Victoria Purman books give me a real hankering to visit the south of Australia, she paints with words the beauty of such a rugged place. Calla is on her way to visit Kangaroo Island to try and find her brother, when she meets Sam. It isn't in ideal circumstances, but something sparks between them and their journey towards each other begins. Calla has been searching for her brother for over two years, there family has been broken apart by secrets and heart ache. Sam has his own secrets and like Calla he has also experienced a relationship gone bad. Neither of them are really ready for anything deep again. Yet Sam is kind, thoughtful and compassionate. Well mostly, until he has to deal with his father Charlie, who seems to be deteriorating into really poor health. Can Calla help Sam see Charlie through different eyes? I really enjoyed this beautifully written story. The two main characters - both wounded - but working there way towards wholeness. I was fully engaged by their stories and liked the fact that we were given both Sam and Calla's point of view. The minor characters added a delightful blend to the mix and highlighted the importance of family and friends. Another wonderful book from this author. 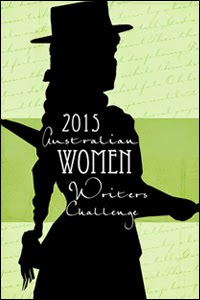 I really love her south Australian settings, excellent writing and gentle exploration into characters' lives. I've been reading more books set in Australia. I think I even have this author's books on my Kindle or computer. I like her writing Nise, I so want to visit there! The best I will do is Melbourne later in the year! Purman's descriptions make me want to visit too. So glad you enjoyed this one, I'll finally be able to get to it next week! Sounds like a good book, I have never read her books but I will try this one. Great review.